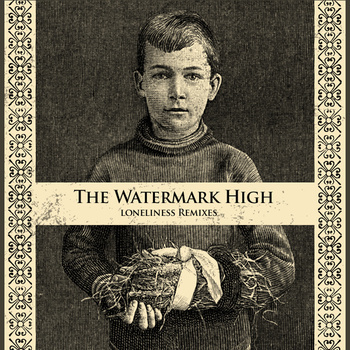 The Watermark High – Loneliness Remixes EP Free Download!!! In case you missed it, back in March we reviewed The Watermark High‘s debut album “Loneliness As An Art Form” (read the review here! )… We loved it! For those of you that managed to get your hands on the physical CD release, these remixes will already be familiar to you, for those of you that missed out on the extremely limited physical release… this one is for you! The band decided to release the remixes that were only available on the physical release as a seperate digital remix EP – “Loneliness Remixes EP”. What is also awesome about this release is that you can download it in various formats as well (FLAC [Awesome!!! ], MP3 320k, MP3 VBR High and Low, AAC High and Low, Ogg Vorbis and ALAC). I grabbed the FLAC and the MP3 320k versions myself! The EP features remixes done by electrotrash regular Jacob Israel, A Skyline on Fire, Rocket Dangerasmus, Bad Manners and Noel Kudo. The five remixes are excellent, a definite recommendation from us! Head on down to www.thewatermarkhigh.co.za and get that download started! HAEZER – Dominator EP Released On Onion Records!! !